The Kallangur Tavern dining room is a favourite amongst locals and visitors to the area. Our menu offers a range of pub food; from seafood, steaks, pastas and all of your pub classics. We cater for all members of the family with a Kids menu destined to please the fussiest little eaters and a delicious Seniors menu on offer. Our dining room is the perfect place to bring the family. The kids will love our indoor and outdoor playground featuring arcade games and amusement machines. 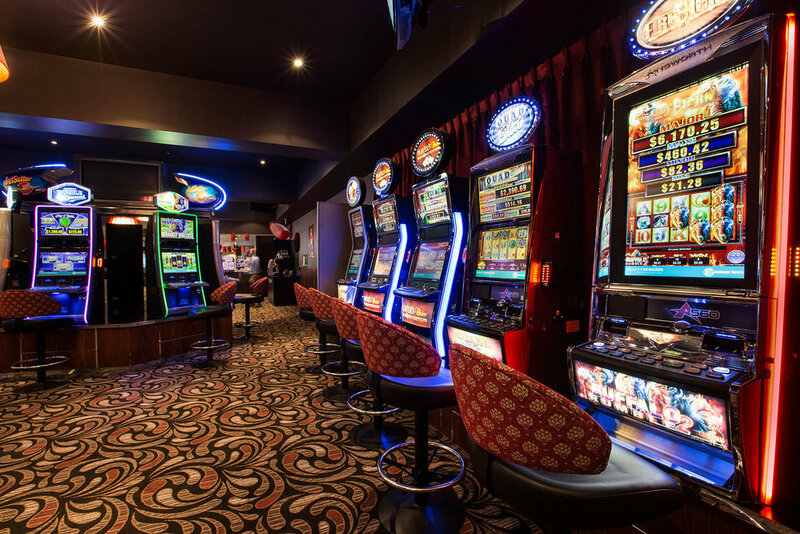 Our VIP Gaming Lounge features 45 of the latest and old favourite gaming machines, Keno and link jackpots, including Lightning Link, Jackpot Carnival and Money Chimes. We have the latest Ticket in Ticket Out system operation on 35 of our machines allowing you to move quickly and easily between machines. To add to your experience we provide complimentary soft drink and coffee for machine players, as well as delicious snacks 3 times per day. For those who would like something else, we also have an easily accessible Gaming Bar with a wide range of drinks and snacks available. Our comfortable Keno lounge area is ready for you to watch your numbers come up and play along with your friends. Join our members program to get all the latest updates, birthday offers and visit our kiosk each day to get bonus points and members gifts.